When you decide to invest your time and money into improving your health, you also benefit from a supportive, skilled doctor with a clear vision of how to get you there. With an overwhelming access to “information” and many options, what will most likely be between you and achieving your goals is lack of direction and diminished focus. 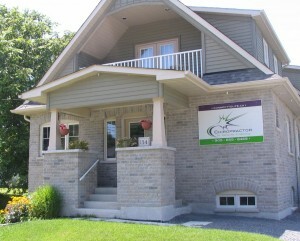 If you live, work or play near Brooklin, Port Perry or Whitby and need help, we’re here. We have the skill and experience and will create the plan you need. Dr. du Quesnay will thoroughly assess your needs, outline what to expect before and throughout your care, skillfully adjust you, and equip and inspire you to rise to your best results. You’ve placed a great deal of trust in us, and we promise to clearly communicate, listen to your feedback and await your full agreement for everything we do. Second Visit. We’ll report what we found and address all your questions. Regular Visit. A typical ongoing visit will be much shorter, but just as important!